[Edited 4/5/12 to add: This freebie promotion has ended] As of this posting, the Kindle edition of Theresa Meyers’ supernatural Western steampunk romance THE HUNTER is free at Amazon! That's a free novel-length ebook! 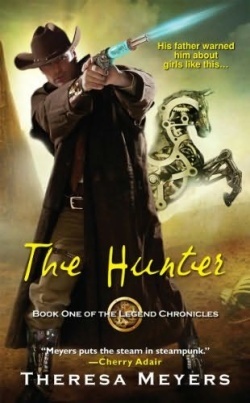 If you like the show SUPERNATURAL and would like it better if it had steampunk elements, then THE HUNTER might be for you. Author Joan Swan is hosting a giveaway for Zoe Archer. 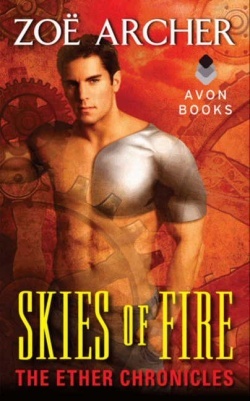 Read the interview and then enter for a chance to win a copy of Zoe Archer’s new steampunk romance, SKIES OF FIRE! I’m blogging at A Buckeye Girl Reads about one of my earliest exposures to clockpunk. While there you can enter for a chance to win a digital copy of my latest release, THE WATCHMAKER’S LADY. Reading Reality’s Marlene Harris is celebrating her blog’s first anniversary with a “Blogo-Birthday” bash from April 4-5! Visit the anniversary post to join the party and enter for a chance to win a USD$15 Amazon Gift Card! 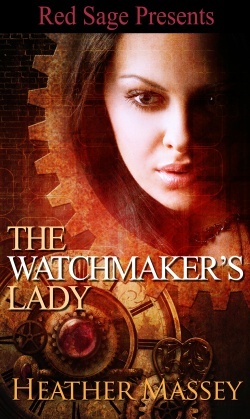 Marlene is the first blogger to review THE WATCHMAKER’S LADY, and as part of her Blogo-Birthday bash she’s hosting a giveaway of two of my books. Enter now for a chance to win a copy of THE WATCHMAKER’S LADY (how’d you guess?!) and tomorrow, April 5, you can return for a chance to win a digital copy of QUEENIE’S BRIGADE.